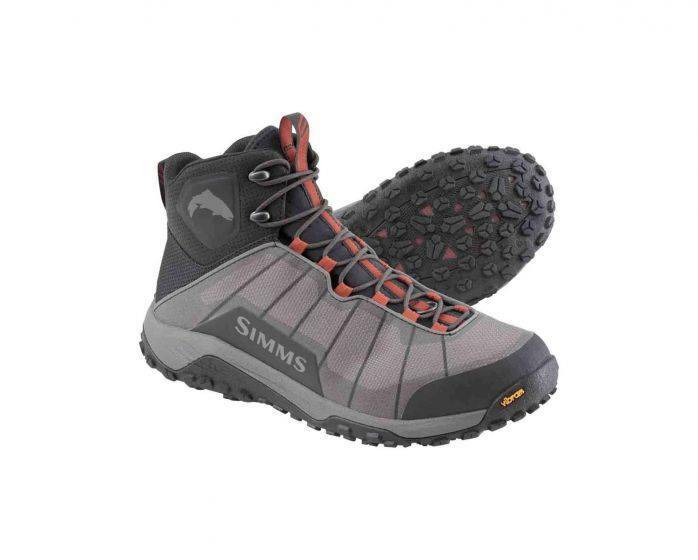 If the call of high mountain streams and the path less traveled ring true for you, Simms 40 oz. 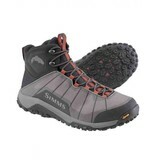 Flyweight Boot offers an incredibly lightweight design to help you answer the high-mountain call. The low-profile design maintains full wading boot functionality and the Vibram® Idrogrip outsole sticks to wet, mossy rocks, and is reinforced for reliable stud and cleat retention.